The perfect addition to a sympathy card. 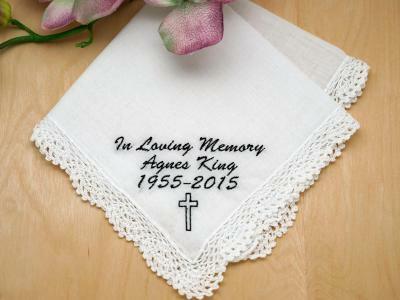 No words are necessary, just slip this beautiful memorial hankie in the card and sign your name (or not). Those I have gifted with these hankies are touched. Beautifully embroidered. I highly recommend.